Cheap Air-conditioning Installation, Buy Directly from China Suppliers:Hose Crimping Tool 71500 Hose A/C crimping tool Hydra-crimp for Barbed and Beaded Hose FittingsnEnjoy ✓Free Shipping Worldwide! ✓Limited Time Sale ✓Easy Return. 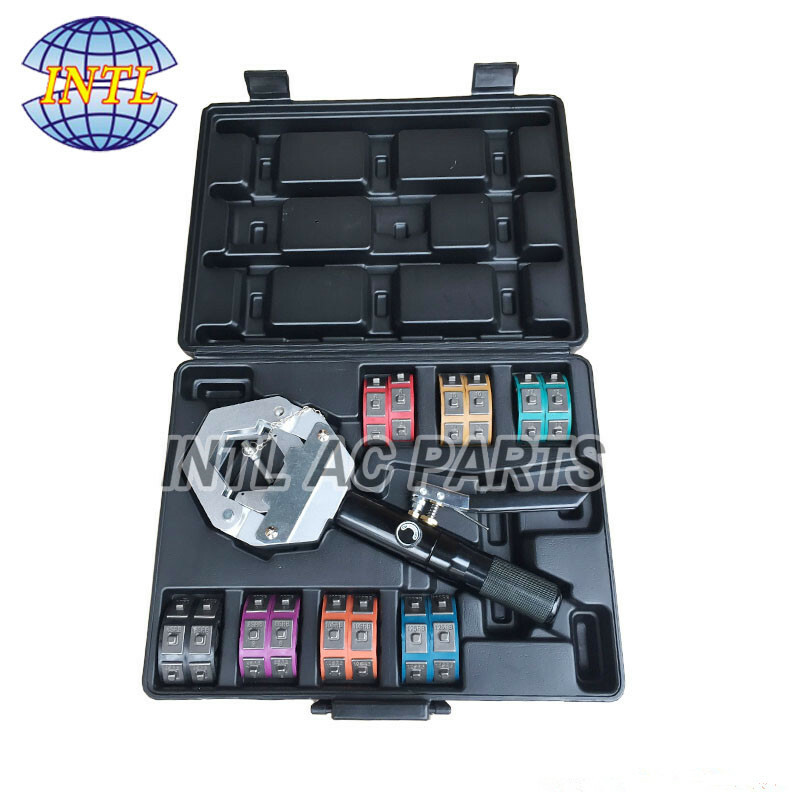 Clutch Coil, Compressor Clutch, Control Valve, Resistor, Tools etc. with Good Quality and One Year Quality Warrantee. 1 - 2 - 3! The lightweight hand-held hydraulic press is very portable and ideal for shop and field applications. The Hydra- Krimp can be used on both beaded and barbed hose fittings. barrier #6, #8, #10 and #12. 1.Remove pin and loose the handle till you can "Open" top yoke. 3.insert the die into joke. 4.position fitting and hose in the crimper and close the yoke. 6.Turn Body of tool clock wise until dies are snug against hose fitting . 7.Turn hydraulic valve to "closed "position . 8.Pump handle to crimp fitting onto hose .continue pumping until handle comes to a stop . 9.Once crimp is complete,turn hydraulic valve to OPEN position .